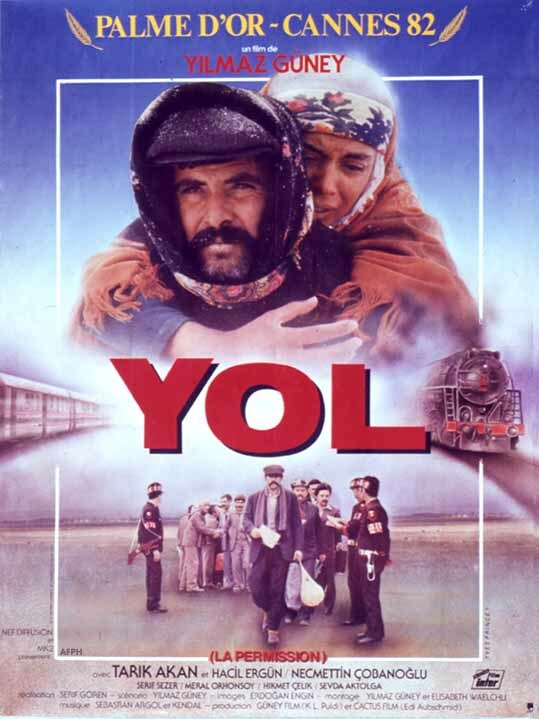 A wonderful movie about alienation, 29 October 1998 Author: Cath-10 from France YOL is a wonderful movie in which five Turkish prisoners, who are alienated by imprisonment, are granted one week of permission and discover that the Turkish society itself also alienates its inhabitants. The stories of these five men going back home for one short week are five tragedies : one of them has an unfaithful wife whose family orders him to kill her, in order to avenge the clan's honor. Another one is in love with a young girl of his village, but is compelled, by tradition, to marry his sister-in-law when his brother is killed by soldiers. Another one cannot see his wife or his children because his family-in-law cannot forgive him for giving up their son to the police when they both tried to rob a bank. All these men are confronted with the harsh rules of tradition that impede on their own freedom and feelings. This is a beautiful and never boring movie that is simply unforgettable.